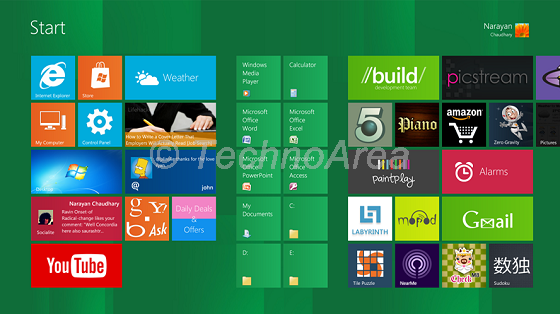 When Microsoft has launched Windows 8 the biggest change they made is that they had removed Start Button from taskbar and introduced Start Screen, many guys liked it very much button some still required their old Start Button back. It seems that Microsoft has listened to them and is planning to bring Start Button back to Windows Blue, however reports says that this Start button wont provide access to classic Start menu but it will open your Start Screen, means it will act as shortcut to your Start Screen. It will have Windows 8 logo, which we saw in Charm Bar.